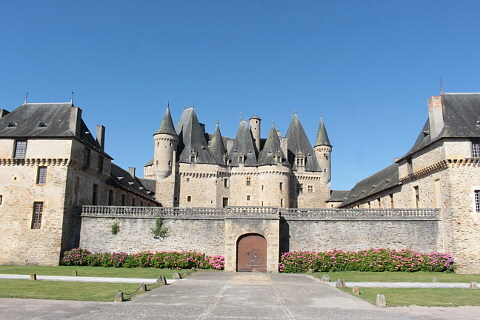 The Chateau de Jumilhac, 20km north-east of Thiviers and towards the northern edge of the Dordogne department, is an attractive castle set high above the valley of the Isle River. 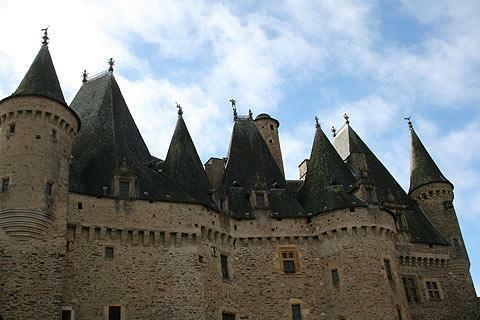 The castle is best known for its elaborate, 'sleeping-beauty' style rooves and ornate turrets, with one of the most impressive 'skylines' of all the castles in France. 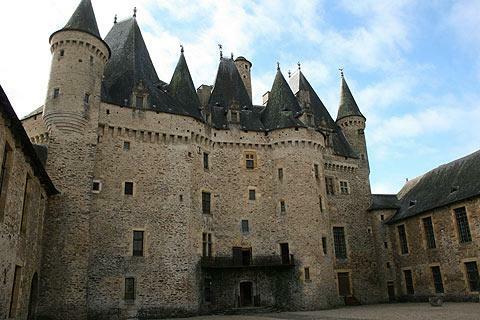 Although it dates originally from the 13th century, when it had an important defensive role to play in the region, the Chateau de Jumilhac was heavily modified during the 16th-17th centuries, when it was re-invented as a luxurious renaissance dwelling. It was also at this time that the famous roofs were added, along with the external walls and some magnificent entertainment rooms. 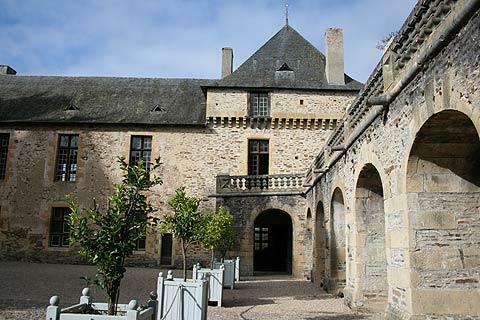 As well as the main castle there are two additional wings which, together with a high stone wall, surround a courtyard. 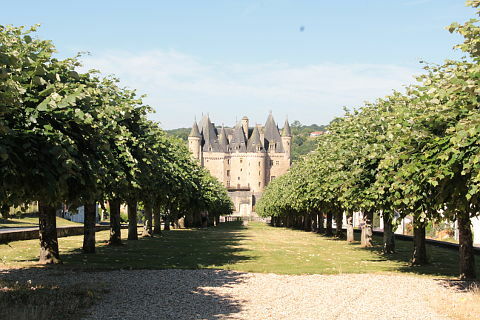 Apart from an extended period during the 19th century when the castle was sold and subsequently repurchased, Jumilhac has been in the hands of the same family since the 16th century. 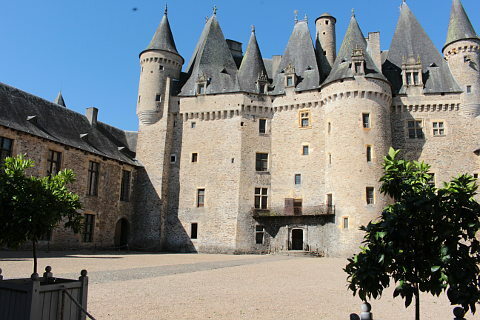 There are several very interesting rooms in the chateau, with a good number of rooms containing grand fireplaces, staircase and parquetry floors to admire (although significant parts of the castle remain unrestored). The kitchen is also interesting being a careful reconstruction of a medieval kitchen. A particular highlight is the 'bedroom of the spinning wheel' (chambre de la fileuse), a poignant room in the castle keep where a certain Louise de Hautefort apparently spent more than 20 years imprisoned while her husband was away at war in the early 17th century - we can still see the frescoes that she painted on the walls during this time. Despite the great lengths her husband went to to prevent Louise from meeting other men, she still managed to have correspondence with a lover by sending messages hidden in sewing bobbins! 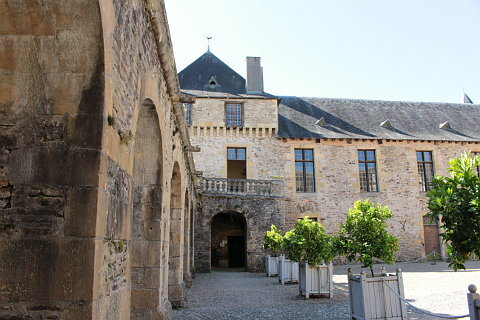 Alchemy is also an important theme at the castle. 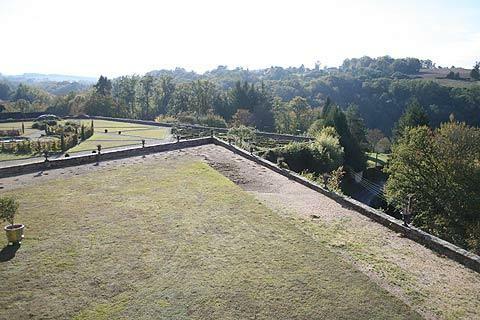 The first Count of Jumilhac practiced alchemy in secret, since it was illegal at the time, but left various signs and clues at the castle such as a series of statues that you can see on the roof. The alchemy theme is now continued in the design of the gardens. 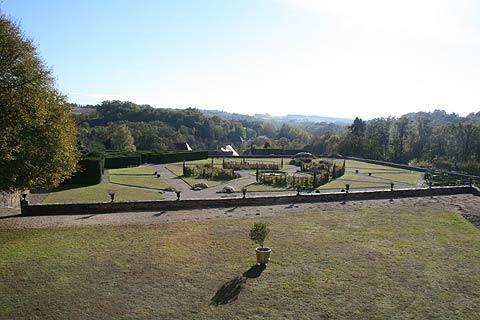 To the rear of the chateau at Jumilhac there are also some fine gardens in the French style with lots of meticulously tended grass and small box hedges. 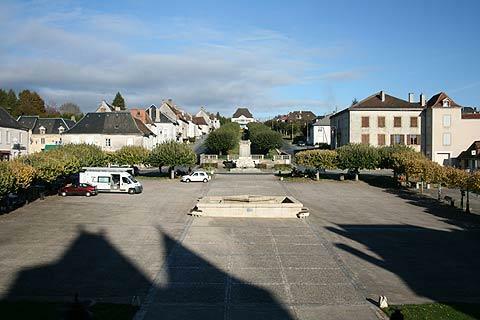 Saint-Jean-de-Cole is a very charming village and is classed as one of the "most beautiful villages of France". 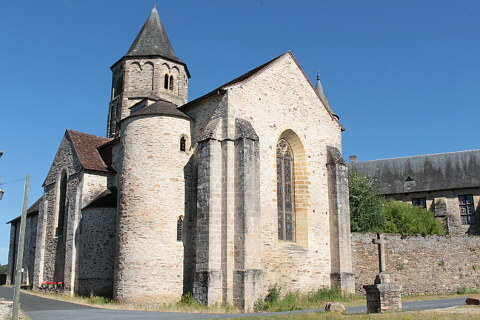 Nearby Excideuil is also nice and deserves a visit. 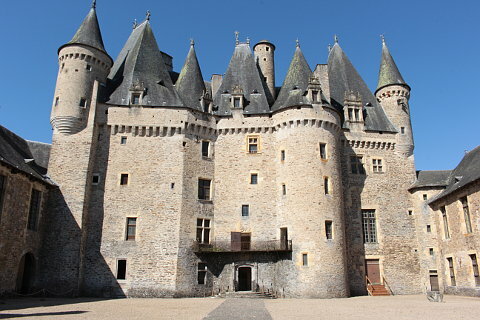 The castle is in the south-east part of the Regional Natural Parc of the Perigord-Limousin, a protected natural region of forests, fields and valleys.